Our squirrel topiary frame is a simple and easy way to make topiary figures in your garden. All you do is insert your plant through the opening in the base of the squirrel and as it grows, tease it to fill the frame. Once the shape is full allow the growth to come through the frame and simply clip to keep in shape. 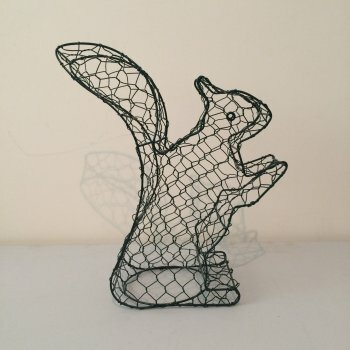 This plastic coated squirrel frame is ideal for use with box plants or ivy.